Simple but yet still giving you the luxuriously soft short pile velvet. This is the Plush Velvet Divan Base. Its softness of feel gave rise to the adjective "plush" something soft or luxurious, which was extended to describe something rich and full. That is exactley what this divan base has to offer. Available in a choice of colours and drawer options to suite you. 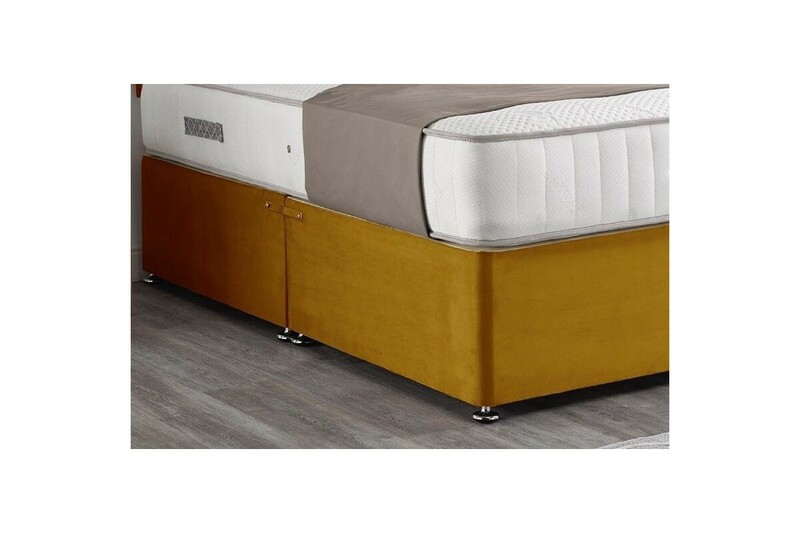 The Plush Velvet Divan Base is a simple yet luxury traditional divan base made from all of the finest and quality assured materials. Plain divan base with an option of drawers to suite you. Handmade and quality checked every step of the way so that it reaches you in perfect order. Easy to assemble with no hassle. We do not cut corners when it comes to materials or customer service. Here at The Furniture Bazaar we believe in providing nothing less than a great product with a high standard of manufacturing and an exceptional customer service. Matching headboards available in a choice of colours, fabrics and designs. This would really finish your room off giving it the wow factor. See our Upholstered Headboards on this site.